Posted on 3 February 2017 in air dried timber, english hardwoods, furniture timber, Grown in Britain, kiln dried timber. Leave a comment! O, the weather this week’s been frightful, but the Cedar is delightful. We’re feeling jolly, can you tell? Well, it’s been murky old January week here at Cocking Sawmills so by all accounts we should be down in the dumps. But no, not us! Instead we’ve been unloading and reloading the big kiln with Cedar. Which is exactly the sort of thing that puts a smile on our faces. Go on Graham… smile for the nice camera. 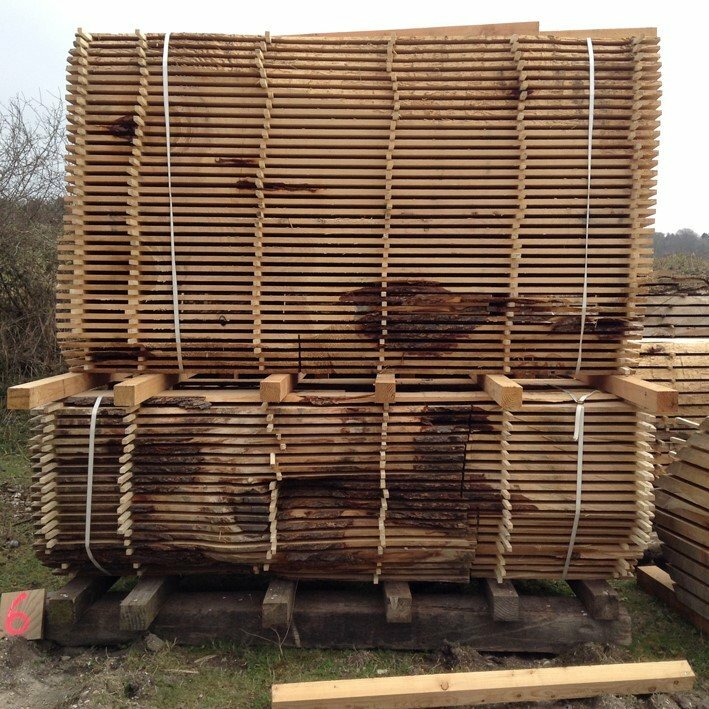 Posted on 4 October 2016 in air dried timber, english hardwoods, furniture timber, joinery timber, kiln dried timber, round timber. Leave a comment! Here you see before you a hand built wall of English Cedar of Lebanon and it was designed and specified by the clever people at TOAST. 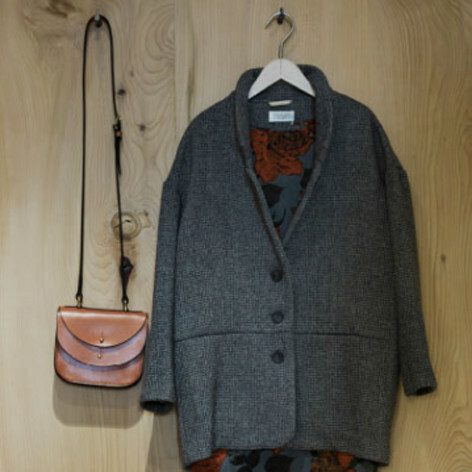 They’re a soulful company who sell beautiful clothing and homeware, championing natural materials ( like our Cedar of Lebanon) and artisan works, handmade items and small production runs. TOAST are renowned for bringing soul to the high street and we’re thrilled that they chose some of our locally grown Cedar of Lebanon for a shop interior project on the Kings Road. 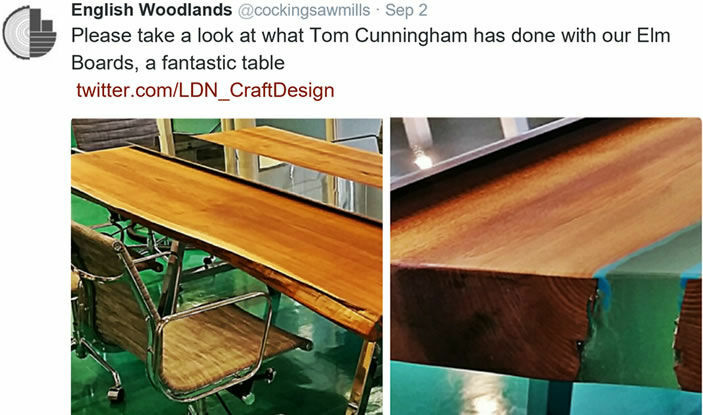 Posted on 21 September 2016 in cladding timber, fresh sawn timber, Grown in Britain, woodland products. Leave a comment! We know fresh sawn Western Red Cedar cladding comes high on the ‘wish list’ for lots of building projects. When we ask our customers ‘why?’ we often hear the same thing… it’s ‘the one we know’. 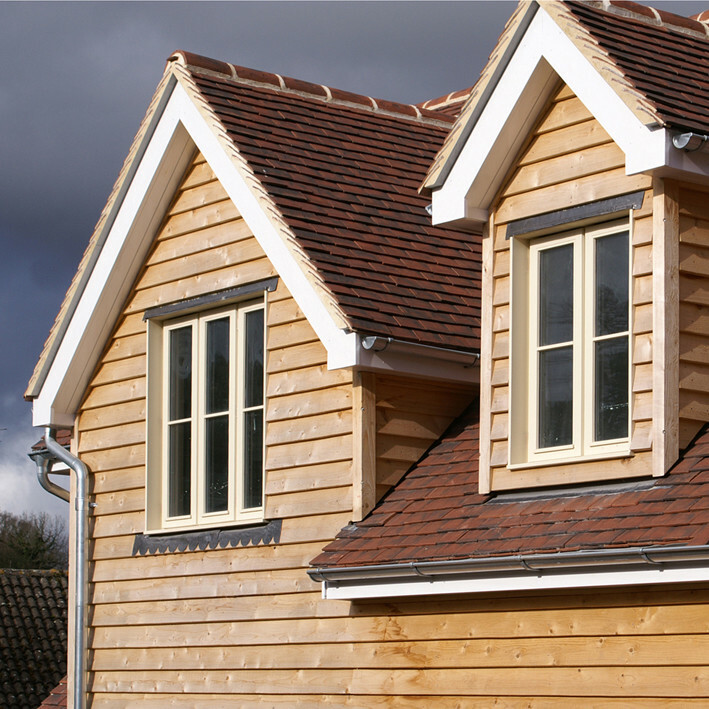 It turns out ‘Cedar cladding’ has become ubiquitous as the alternative term for ‘timber cladding’ and so we thought we’d ponder that for a moment. Rich red brown heartwood, pinky when fresh sawn, pales as it dries but an exterior finish will maintain colouring once surface is dry. Although difficult to treat due to Tannin content WRC is naturally durable, weathers well and silvers down over time. Popular with architects and designers, WRC is not a heavy duty timber but is great for garden structures, furniture, fencing, decking and gates. Got the wrong Cedar? Try Cedar of Lebanon, the big wood with the big perfume! 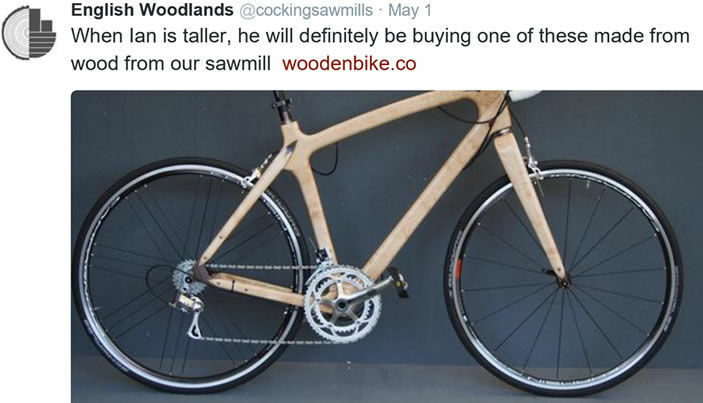 Posted on 24 February 2016 in english hardwoods. Leave a comment! Our sticking team is busy in the yard putting together some gorgeous fresh sawn T&T boules, all sourced from sustainable managed British woodlands. We’ve got air dried Oak, Elm (both pippy!) Chestnut, Ash, Cedar of Lebanon, Yew, Sycamore, Plane & Beech jumping the queue straight to the kiln & into Peter’s shed ready for use. 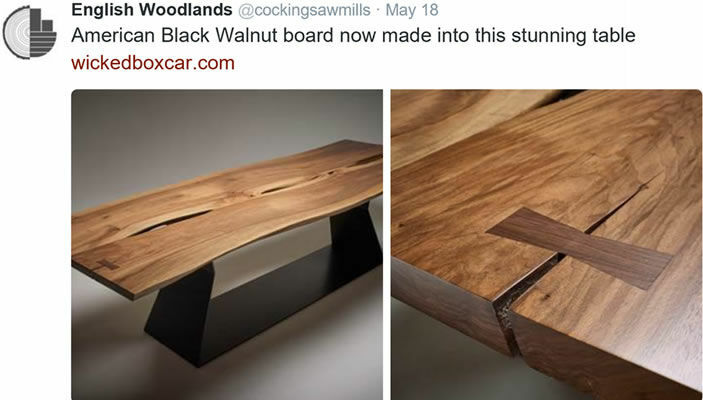 They’re a cabinetmaker’s dream! 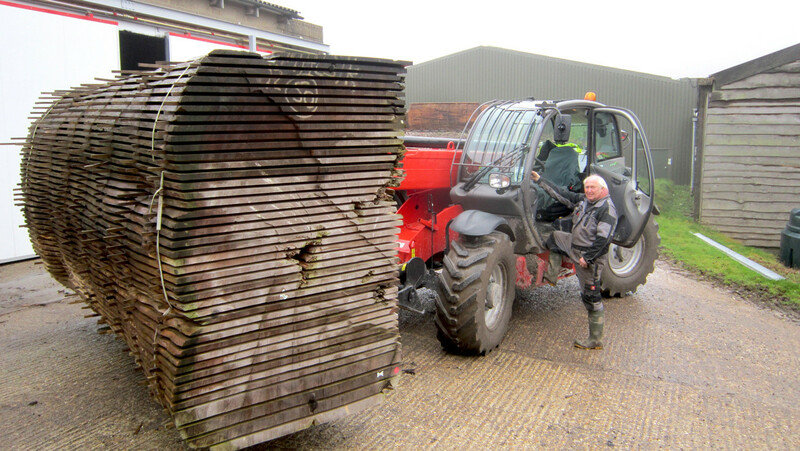 Our logs are carefully selected from well managed British woodlands, they are cut every autumn, winter and spring* by the best sawyer in the country (he really is!). Then they’re sticked, measured, graded & stacked in boule for air drying in the open (for a year per inch!) until thoroughly seasoned. This is the complete log traditionally sawn ‘though & through’ (T&T) so it contains crown boards (great for wide figure) and quarter sawn boards (straight grained and stable) in the same boule. What is a Boule anyway? Hmm, they’re not wrong, but whilst that statement is quite true, it really doesn’t capture the romance and soul of traditional sawmilling, boule sticking and artisan wood drying associated with producing our beautiful, flat, well-seasoned, stable, unstressed boards of waney edge timber… but we’ll let them have that one anyway shall we? Nevertheless thank you ‘Making the Grade‘ for the definition. Let’s see, because it’s seasoned and stored outdoors, air dried boule is appropriate to use for exterior joinery, decking, exterior furniture, cladding projects and sometimes even structural work. After kilning the moisture content is bought down to a level good for internal use. These kiln dried boules are perfect for furniture, kitchen making, cabinet making, interior joinery & flooring. 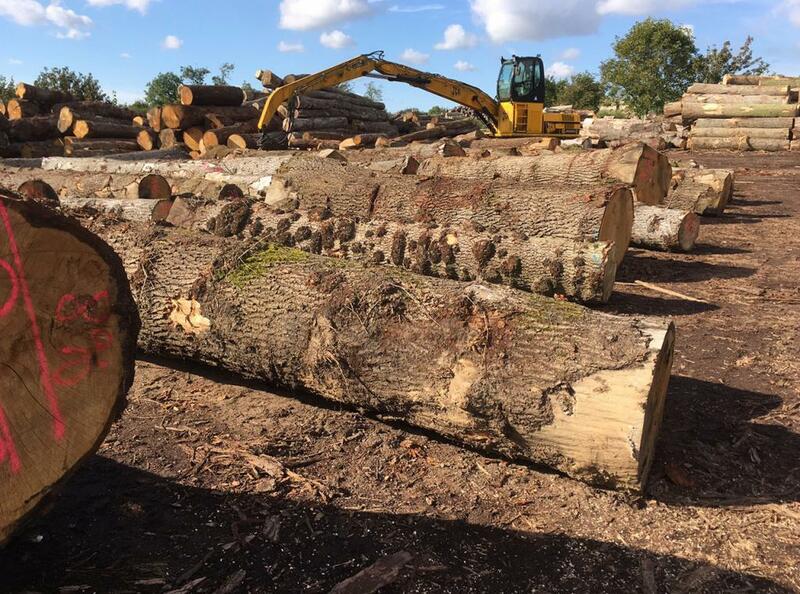 With timber it’s all about what it’s going to be used for and selecting the appropriate timber for the job. Hopefully we’ve got that covered – Just ask us for advice! 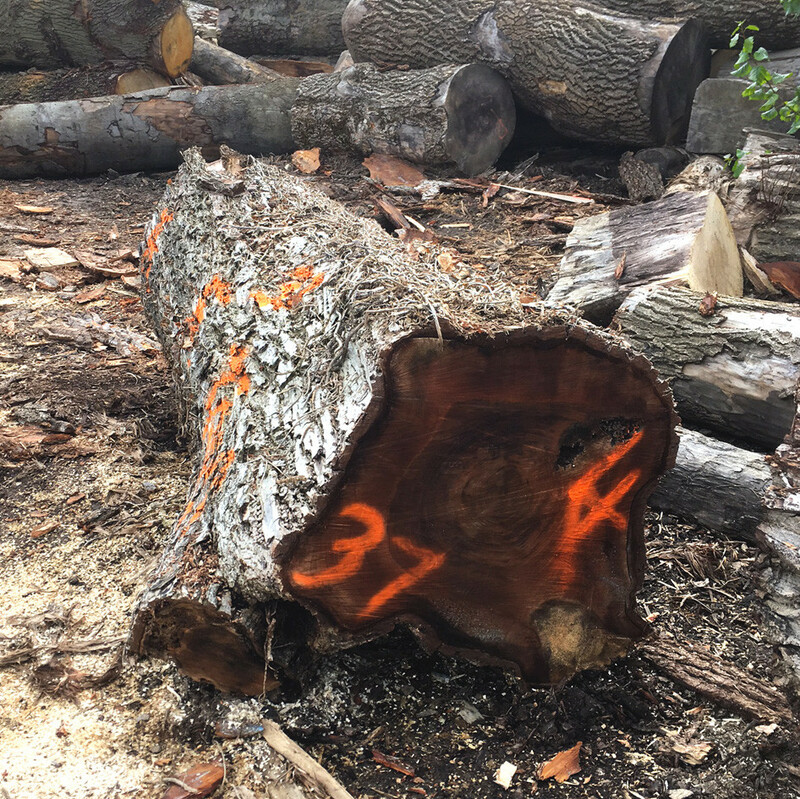 But if all these things are important to you, then boule may be the right source of timber for you and your next project. What are ‘provenance’ & ‘certification’? Our stocklist holds data about our timber. We have worked hard to record all the information we think will be useful. 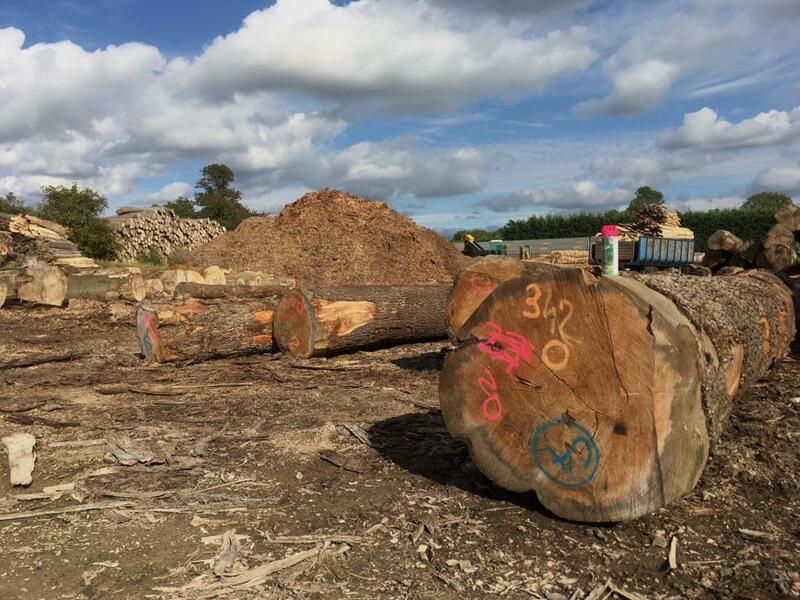 We hold chain of custody certificates so that we can source and supply FSC, PEFC timber. 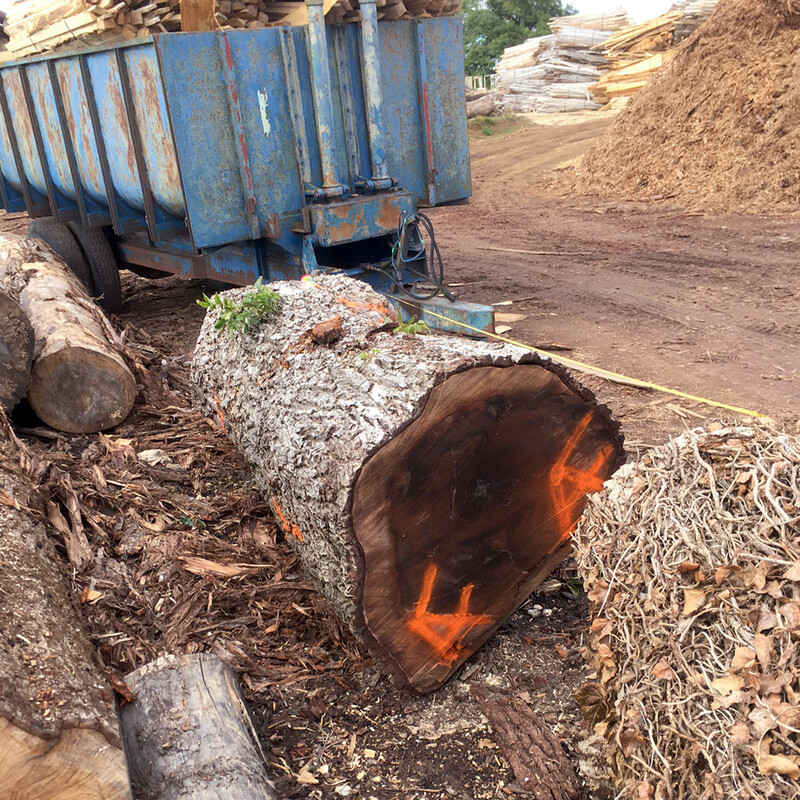 We also have certification for the new Grown in Britain licensing for all British Woodland owners, woods folk, sawmillers & wood users at all stages of the chain to be able to certify all well managed, homegrown timber. Part of the reason this is possible is that we always record the source of a log, even down to the individual forest compartment it grew in. Provenance is always available to our customers and we’re working to make that information available to everyone. Species: Ash, Beech, Chestnut, Cedar of Lebanon, Elm, Lime, Oak, Plane, Sycamore, Sequoia, Scots Pine, Walnut, Yew and there’s always more! Click here to see what’s in boules stock today. Sizes: Boules are usually cut in 20mm to 120mm thicknesses and widths go up to 1000mm or more, lengths 6.2 or more. Click here to check the stock for more in depth detail. Grades: Find out more about grades in Making the Grade, a great reference book for anyone interested in understanding grading of homegrown species. Download a copy from our website. Prices: All our prices are on the website against the particular boule & reflecting it’s qualities. *but not summer, it’s a bit of a harsh environment (v.low humidity & lots of direct sunlight) to lay down newly sawn logs with saturated moisture content, the timber get’s put under stress, giving off moisture too fast… not our idea of quality seasoning for quality boule. 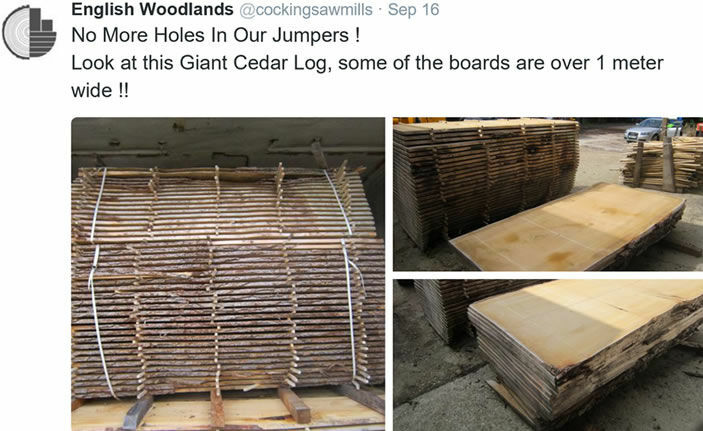 Posted on 9 November 2015 in english hardwoods. Leave a comment! 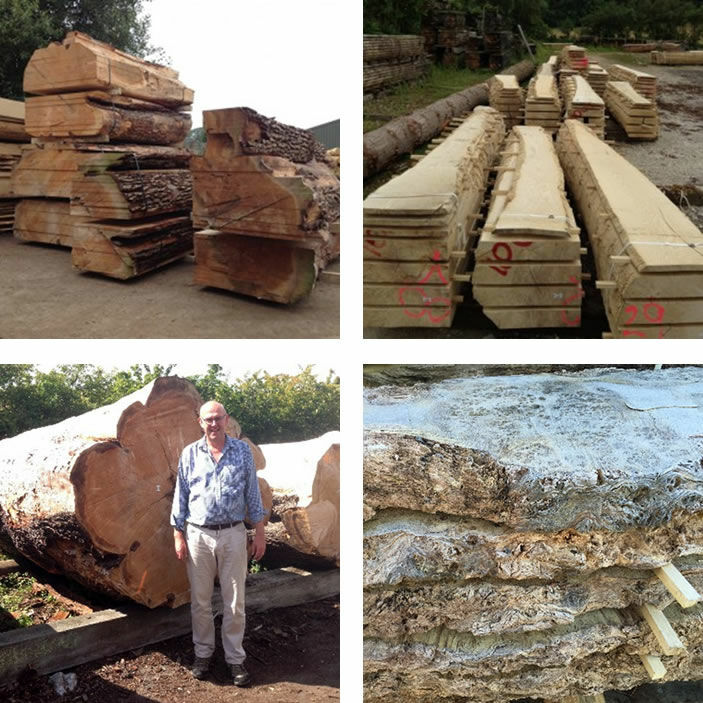 Twitter has opened up a fantastic channel for English Woodlands Timber to engage with some our customers, prospective customers, suppliers and end users. We would welcome your comments about of TWITTER page and the quality of our tweets. Please share your product photos with us and we will happily publish them to our 2,376+ followers.